The structure of the Art Institute of Chicago’s landscape is based on a grid. Bisecting this grid is a central axis that runs from South Michigan Avenue through the garden and ends at sculptor Loredo Taft’s Fountain of the Lakes, which is set against the blank façade of the Art Institute’s Morton Wing and flanked on two sides by beds of Sargent crabapple trees. 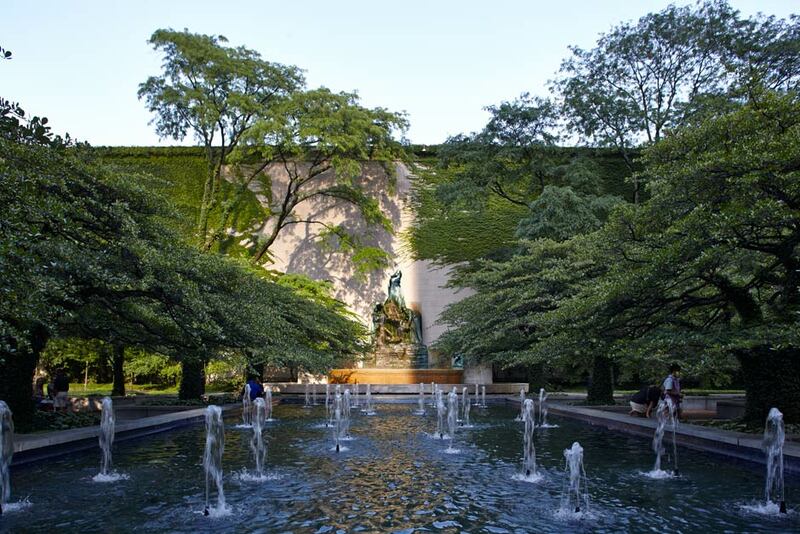 At the center of the garden, in front of the Taft sculpture is a low rectangular pool of water. 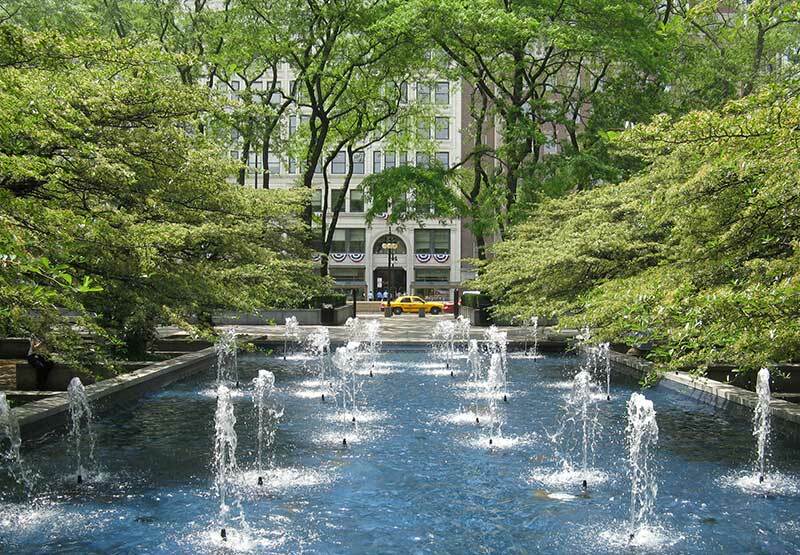 Kiley said: “My intent here was to create a drama: to substantiate the act of passing by a grove of trees within the city, to suddenly find oneself before a long vista over a pool, to have one’s eyes arrested by a beautiful sculpture.” A grid of low jets enlivens the water’s surface. On each side of the pool Kiley placed a grove of sixteen hawthorn trees. 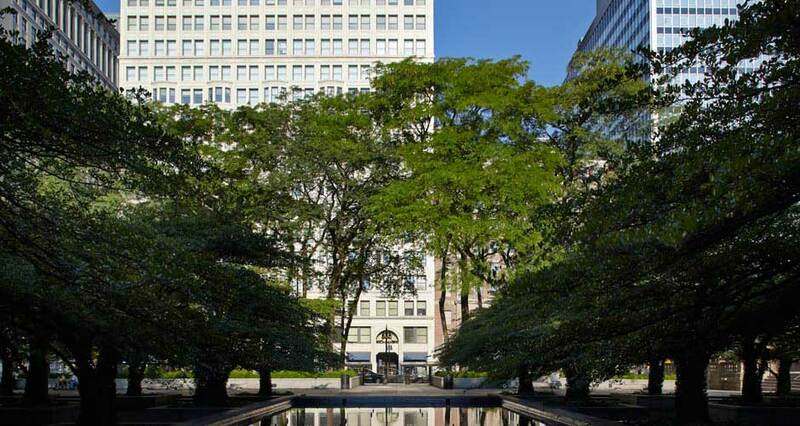 Each tree is planted twenty feet on-center in its own square raised planter. 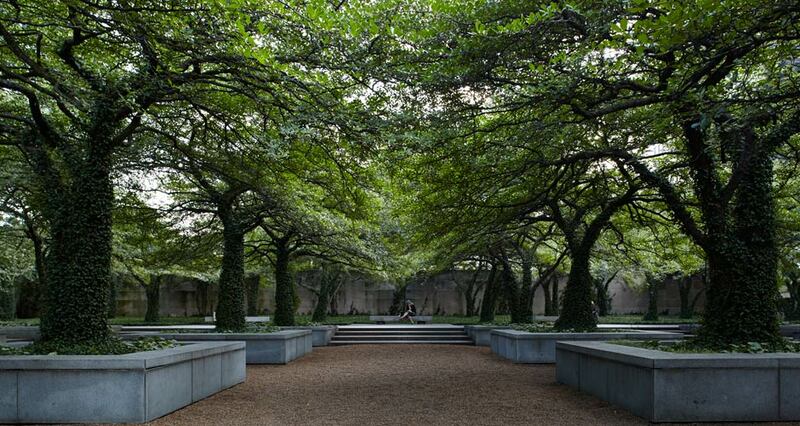 The planters are both functional and aesthetic: at thirty-inches high, with wide marble edges, the planters provide seating throughout the park; structure the garden; and increase the soil depth above ground, raising the height of the trees whose branches conjoin above creating a dense overhead canopy. Around the trees the content of additional planters is changed out seasonally to provide a vibrant element to the space. hawthorns are again used in a long low bed that sits along the parks eastern edge. Here they are underplanted with wintercreeper. 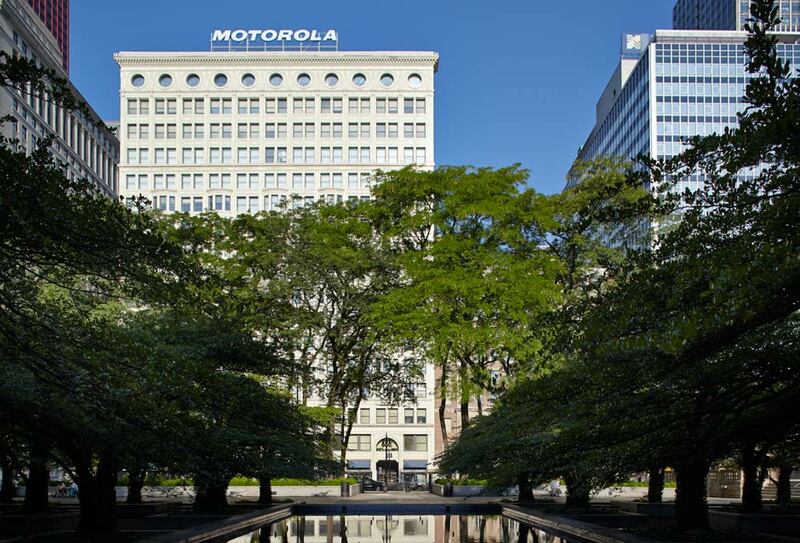 A final pair of long raised planting beds was placed along the southern edge of the site bordering South Michigan Avenue. Planted with honey locusts, and underplanted with privet and spring flowering bulbs, the tall trees create an entry to the park, while also working to screen it from the busy street. In a recent conversation with Charles A. Birnbaum, TCLF’s founder and president, former Kiley Tyndall Walker firm partner Ian Tyndall said Kiley had originally planned to have the planters surrounded by water – an idea that was rejected. Twenty-three years later, Kiley implemented that design concept at Fountain Place in Dallas, TX. 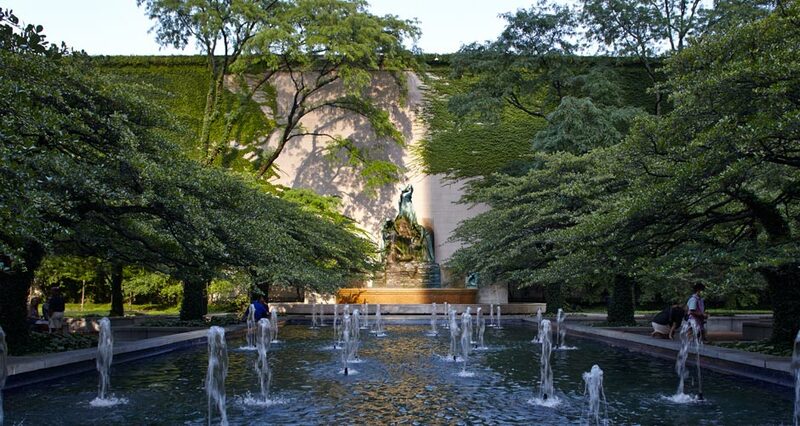 The Art Institute of Chicago, South Garden has been beautifully maintained. While continued maintenance is necessary to deal with any issues that may arise as the plaza ages, the plantings and hardscape are well-taken care of and the garden is well-loved by visitors. While in many of Kiley’s landscapes trees and groundcover have been replaced with species inconsistent with Kiley’s plans, here the original plantings remain, and seasonal plantings continue to enliven the space as originally intended. Recognizing the site’s significance, the American Society of Landscape Architects awarded the garden its Centennial Medallion in 1999. Providing improved interpretation and applying for listing in the National Register of Historic Places is the next step to solidifying the future of the garden and preserving this seminal Kiley design for future generations. 1 Kiley, Dan and Jane Amidon, Dan Kiley: The Complete Works of America’s Master Landscape Architect (Boston, New York, London: Little, Brown and Company, 1999), 49. During my architectural education in the 80's, studying design was bizarre and chaotic. In the midst of the awful, painful post-modern movement, I made my way to Columbus, Indiana, in search of inspiration. I returned from my trip triumphant, but puzzled. 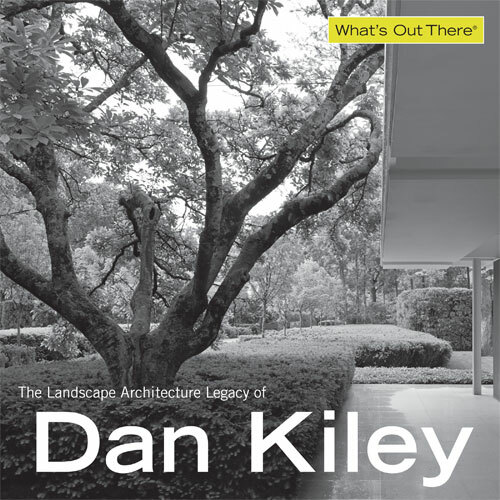 It was Dan Kiley’s gardens, not the architecture that left the greatest impression. His designs challenged me to consider how weaving trees and plant material could create a purely environmental art form that transcended the gimmicky styles and trends that had inundated the era. Back in Chicago, it was in The Art Institute South Garden that my final “ah ha” moment actually arrived. My epiphany created two clear goals: first, to become a landscape architect and second to work for Kiley. A stunning grid of Cockspur Hawthorns set in a very subtle lower crushed stone plaza defines what an "immersive" landscape is all about. 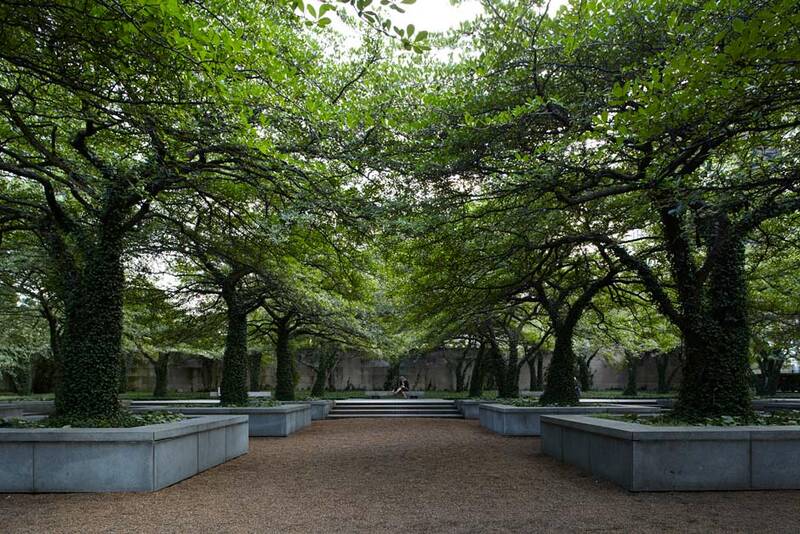 The procession as you walk off of bustling Michigan Avenue through the Honeylocust "narthex" to an open forecourt and then to the bosque of hawthorns, is a brilliant choreographed sequence of visual and sensory experience. The sound of your feet on the crushed stone as you transition from the forecourt and the gurgling fountains draws you deeper into the space. The exquisite Loredo Taft sculpture, pool, fountains together woven together with the umbrella shaped, humanly scaled Cockspur hawthorns, is a quintessential Midwest seasonal expression. 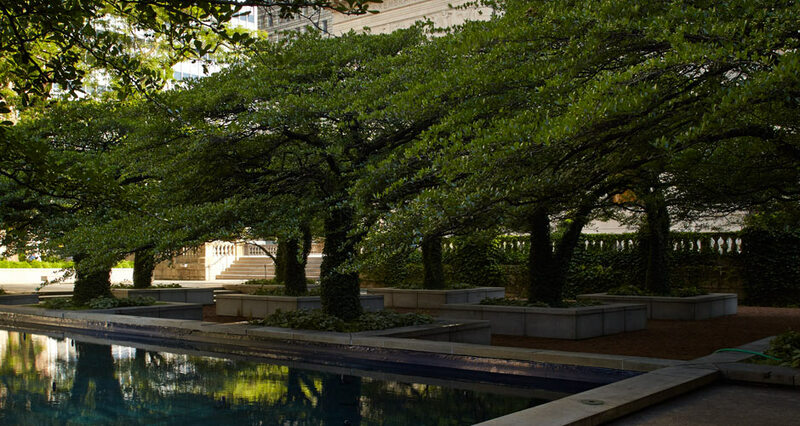 The South Garden combines all of Kiley's fundamental design philosophies in one intimate public landmark. 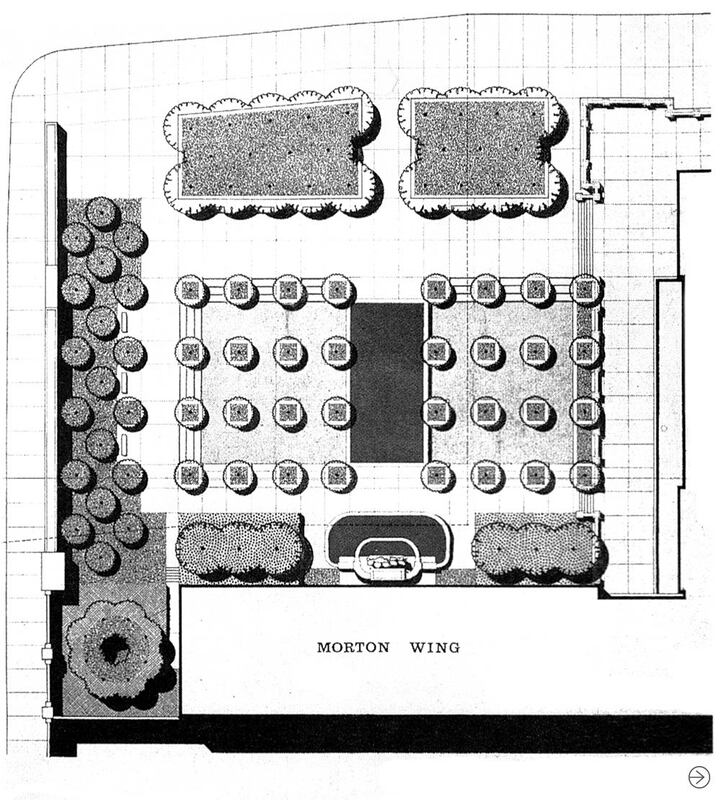 It is Chicago’s finest outdoor space and one of Kiley’s all time great designs. Landscape Voice. 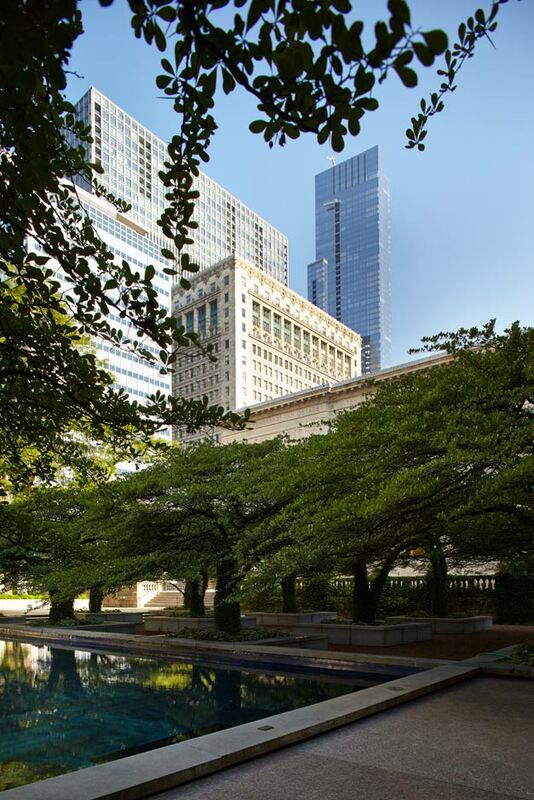 “ Art Institute of Chicago - South Garden,” http://landscapevoice.com/art-institute-of-chicago-south-garden/. Metropolitan Planning Council. 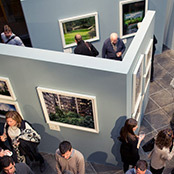 “The Connector: In concrete jungle, Art Institute’s gardens provide an oasis,” http://www.metroplanning.org/news-events/blog-post/5923. Kiley, Dan and Jane Amidon. Dan Kiley: The Complete Works of America’s Master Landscape Architect (Boston, New York, London: Little, Brown and Company, 1999), 48-53. “Landscape Design: Works of Dan Kiley.” Process: Architecture 33. (Tokyo: Japan, Process Architecture Publishing Co., 1982), 52-53. The Cultural Landscape Foundation. 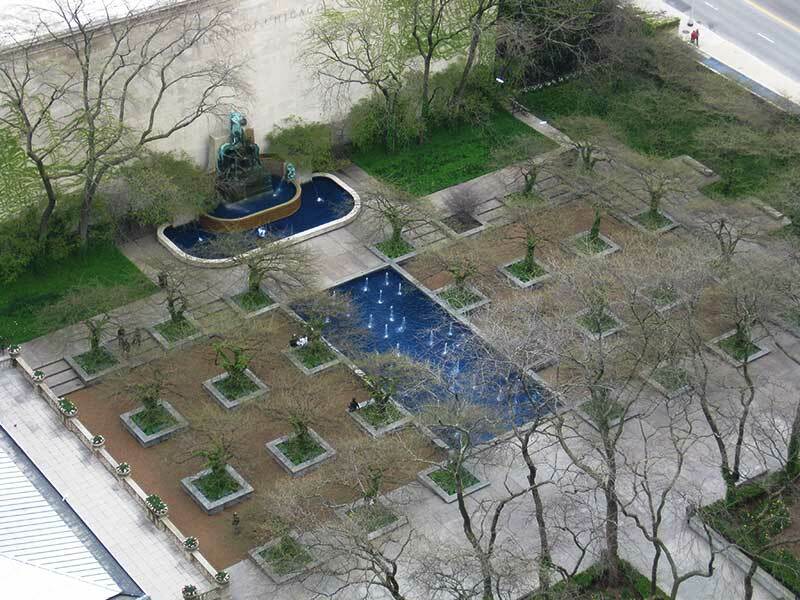 “What’s Out There: Art Institute of Chicago, South Garden,” http://tclf.org/landscapes/art-institute-chicago-south-garden. An architectural photographer working at Hedrich Blessing Photographers in Chicago, IL, Harris grew up in Wisconsin and was inspired by post industrial landscape while going to school in Milwaukee. His interest in architecture is continually rekindled by the architects and designers for whom he now makes images.